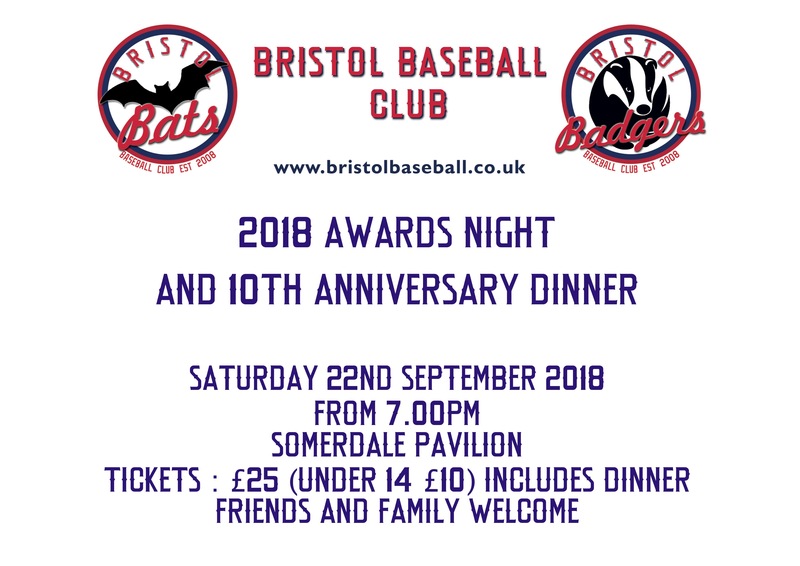 Bristol Baseball Club is celebrating its 10th anniversary and we are inviting players, former players, friends of the club and representatives from local and national baseball to join us at a special dinner. As well as celebrating the anniversary, we will also be holding the annual awards night in which we celebrate the achievements of this season. Its going to be a fabulous night. This year will also see the induction of the first members of the Bristol Baseball Club Hall of Fame. Tickets, which include a three course dinner, are £25 for adults and £10 for under 14s. This is an important occasion for the club so please book your tickets here.